Cloud solutions should deliver deep insight, breakthrough tech-nologies, and cloud services squarely focused on the enterprise to provide for clear progression paths to achieve long-term and sus-tained value. Simply stated, cloud describes an architecture in which the servers and networks in the data center can rapidly respond to changing demands, by quickly scaling compute capacity and connecting that server capacity where it is needed. The technology underlying this fluidity is server virtualization,which by now has been established as a reliable and essential core technology for most data centers. 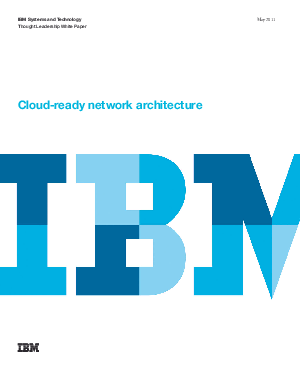 This paper explores this technology and how IBM System Networking has developed a family of products that meet the critical network requirements of cloud computing.